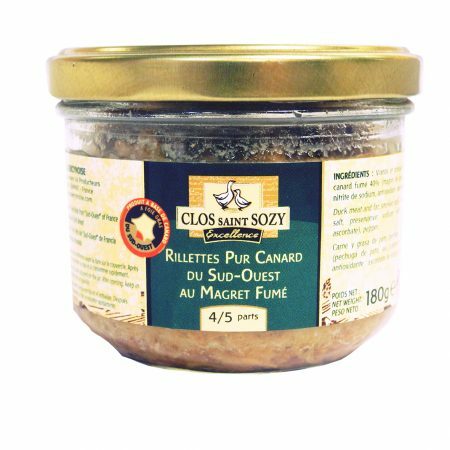 This absolutely delicious and 100% authentic Duck Confit is a French delicacy that is made from two duck legs that are cured and slow cooked in their own fat which is a delicate and traditional process of cooking without preservatives to ultimately preserve the intact flavours of the duck’s meat. 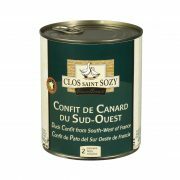 CLOS SAINT SOZY Duck Confit has rich and intense flavours. 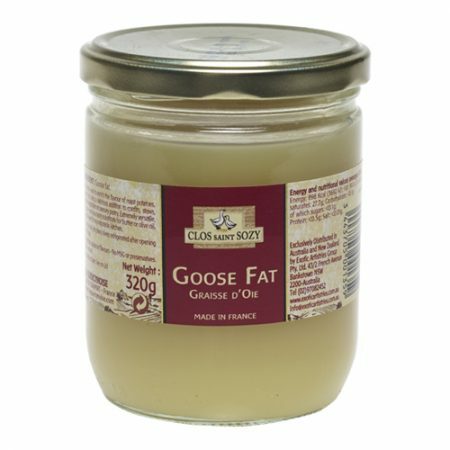 This gentle cooking gives CLOS SAINT SOZY Duck Confit a texture so tender that the meat falls off the bone. 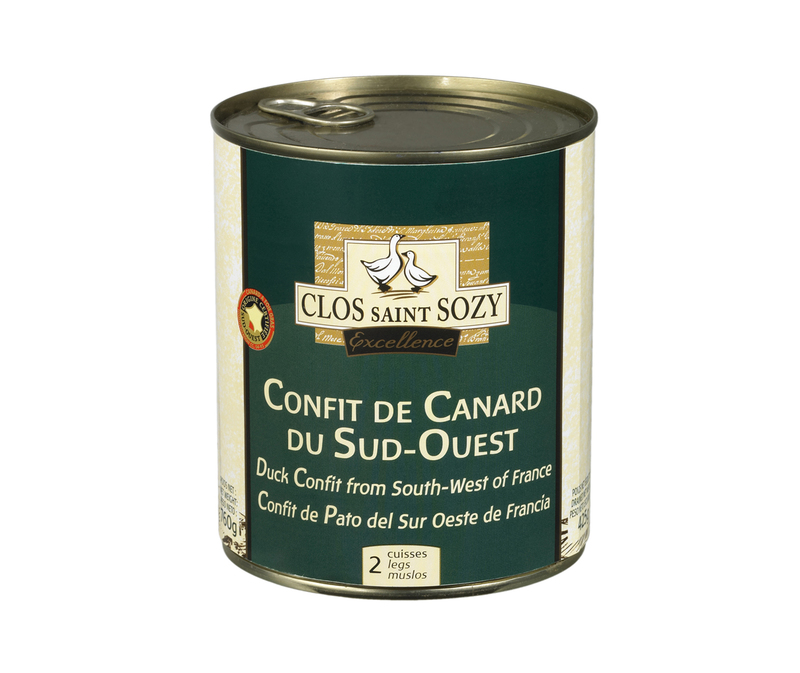 The original & finest quality Duck Confit under the distinguished French brand ““CLOS SAINT SOZY” which has been producing Duck food products from the South West region in France for more than 40 years. 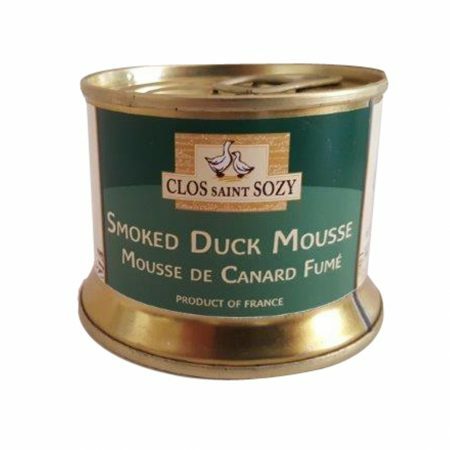 CLOS SAINT SOZY is a brand name that is synonymous with authenticity, originality and quality and is one of the most reputable and highest in the national ranking in France in terms of duck-related products (currently ranked fifth in France out of hundreds of brands). 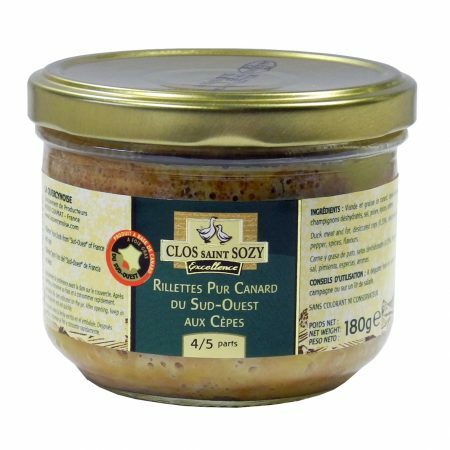 CLOS SAINT SOZY has already won 38 medals at the “Concours General Agricole” of Paris (translated to General Agricultural Competition of Paris). Share between 2 and 3 people. Put the can under warm water prior to opening to melt/loosen the fat inside the can, prior to opening. Quickly pan-fry to get the crispiest skin or heat it in the oven for a few minutes before serving. Serve it with sautéed mushrooms or potatoes on the side.